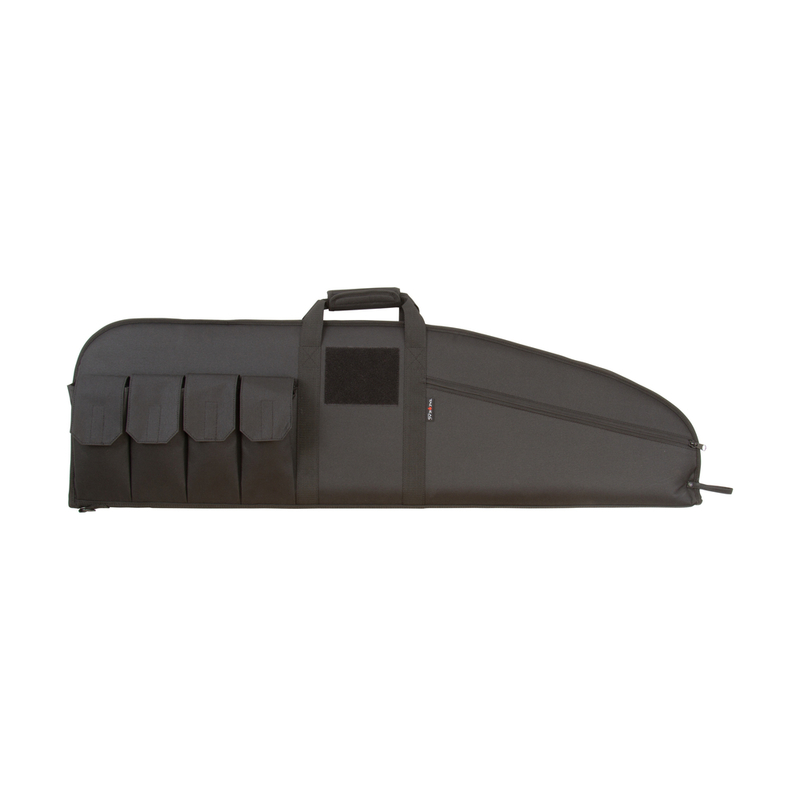 The Combat Tactical Rifle Case from Allen Tactical fits tactical rifles with or without scopes. Features four magazine pockets with hook and loop closures, plus a large zippered accessory pocket that fits targets, gloves, ammo, and other accessories. A large 5.25″ x 4.25″ hook and loop patch is perfect for adding morale and name patches. The exterior of the case is constructed from heavy-duty Endura fabric, and the inside of the case has a soft knit lining and thick foam padding to protect your firearm. Includes durable web handles with a padded handle grip. Lockable.